In case you had not heard, Farm Sanctuary, the rescue organization that focuses on farm animals, had it’s annual Hoe Down in Watkins Glen, NY and SARO was there. The event consists of a couple hundred people coming to the farm and setting up camp – literally, we were camping out for this event. After camp was set up, people were free to wander the farm and visit with the animal residents there. 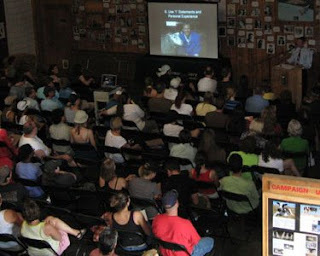 At certain times during the day everyone was to meet up at the “People Barn,” Farm Sanctuary’s visitor center and lecture hall, for meals, speakers, and cooking demonstrations. SARO signed up to volunteer for this event, meaning that we were behind the scenes. Mostly we helped in the kitchen with setting up the meals, or we helped clean up the dining area when everyone was done eating. But wait, don’t think because we were doing work that we acctuall missed out on anything. Most of the work that had to be done was when people were just hanging around. The volunteers had plenty of time to visit the farm animals and we got to listen to most of the speakers. Most of us agreed that we had a great time and we probably had more fun as volunteers than we would have had we not volunteered. 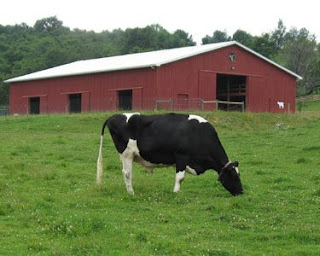 This entry was posted in events, farm sanctuary, summer, travel, volunteering on August 5, 2009 by saro.